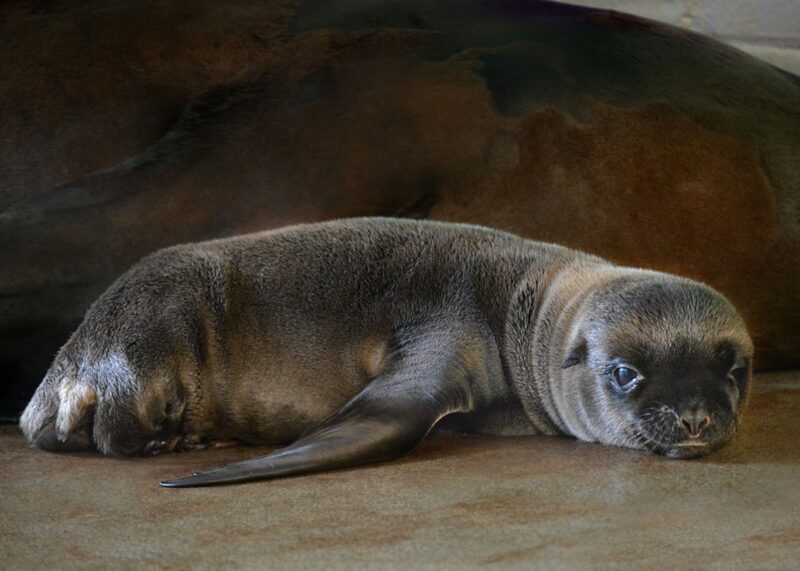 NOTE: The sea lion pup is not on exhibit. He will remain behind the scenes with his mother, growing and learning to swim, until the fall. 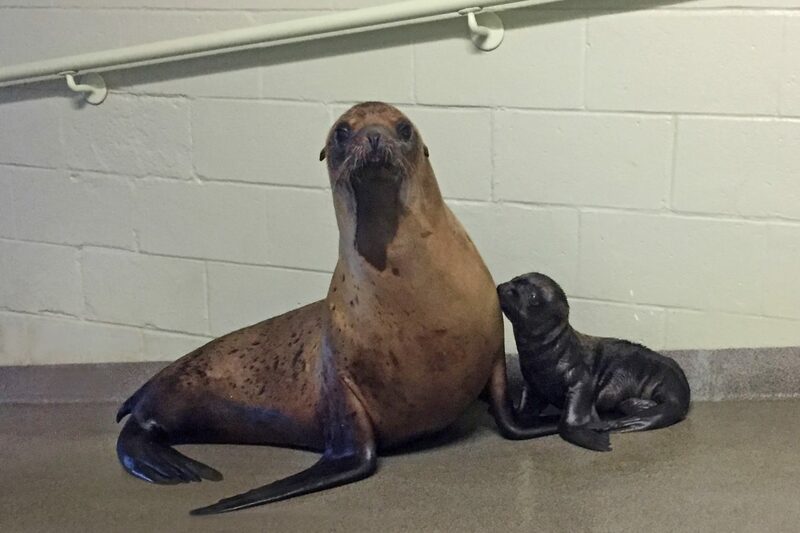 The New England Aquarium welcomes a new California sea lion pup who is learning to get in and out of the water and swim at the New Balance Foundation Marine Mammal Center before making his public debut this autumn. He is one week old. Ron spends a lot of time resting with his mom. Tipper is a good and protective mother to her pup, Streeter said. The first few days, the two were never more than a few inches apart as Tipper taught Ron how to vocalize back and forth while they touched noses. Sea lions need to be able to recognize one another’s calls, Streeter said, and Tipper has used her call to warn Ron when he gets too close to the pool edge or to instruct him when she wants him to try to come in for a dip. Before coming to the Aquarium in February to be with a larger sea lion colony, Tipper was rescued from a California beach in 2013. Young and emaciated at the time, she was treated at Fort MacArthur Marine Mammal Care Center in Los Angeles and later spent time at the Turtle Back Zoo in New Jersey. Ron was named for the late Dr. Ron Schusterman, a pioneering marine mammal scientist and expert in animal behavior at the University of California, Santa Cruz, with whom Streeter worked on sea lion research.